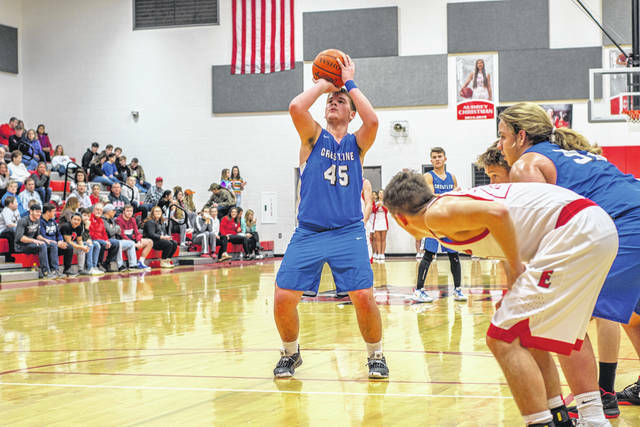 MARION — On Saturday evening, the Crestline Bulldogs boys hoops squad traveled to Elgin High School for their second game in as many days. 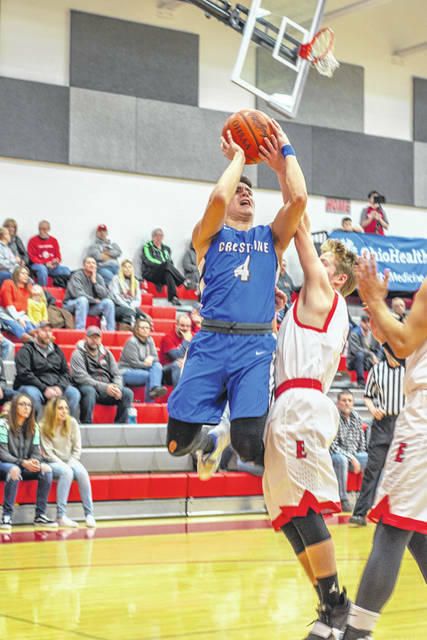 After a very sluggish start, Crestline bounced back but their rally would fall just short as the hosting Comets edged the Bulldogs by a final score of 40-39. With the loss, Crestline falls to 5-10 overall on the season. The first quarter proved to be a rough one for the visitors as they trailed Elgin after the opening eight minutes of play; 10-1. However, the Bulldogs’ offense would pick up a bit in the second quarter to bring the game to an even, 17-17 at halftime. Elgin would post a dozen in quarter number three with Crestline managing 10 on their offensive end to send the game into the final quarter of regulation with the Comets up; 29-27. In that fourth, the ‘Dogs would outscore their hosts but eventually came up just short of their sixth victory on the season. 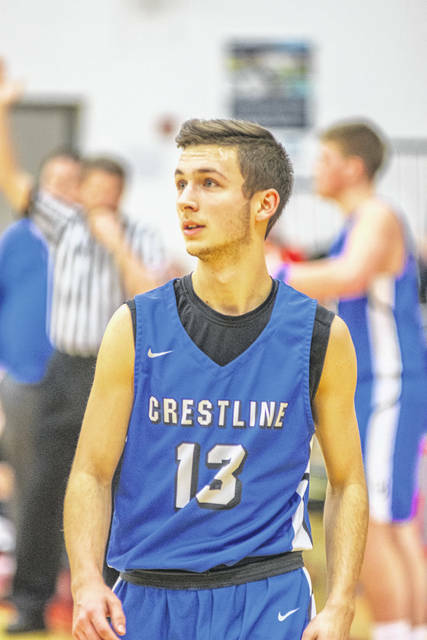 Spencer Harley would lead the way for the visiting Crestline squad, finishing as the only Bulldogs player in double-figures with 13 points. Ty Clark and Kaden Ronk added six points apiece while Trevor Phillips and Ethan Clark posted four points apiece. Calvin Reed and Max Anatra rounded out the offense for the visitors, chipping in three points each. Crestline will have just one game this week, a home contest against Mid-Buckeye Conference foes, the St. Peter’s Spartans. LUCAS — To kick-off the weekend, Crestline headed to Lucas for a MBC contest against the conference leading Cubs. The home team hit the ground running, posting 28 points in the first quarter of play en route to a 15-point victory over the Bulldogs; 69-54. Crestline dropped to 2-5 within the conference with the loss while Lucas improved to 10-3 overall and 7-0 in the MBC. The Cubs would drop their non-conference game at Clear Fork on Saturday by a score of 52-38 to fall to 10-4. Ty Clark had a monster game for the visiting ‘Dogs, posting a team-high 23. Ronk was the only other Crestline player in double-figures, scoring 10. Anatra added nine points, Harley added eight and Phillips wrapped the offense for the visitors, scoring four points. Logan Niswander led the way for the Cubs with a game-high 28 points while teammates Ethan Wallace and Jeb Grover also reached double-figures at 15 and 14 points, respectively.